Happy monday dolls! I'm so happy to have finally had a weekend off :). Although I start the fall semester today, it's the last time I ever start a fall semester of school!! Talk about a major happy dance. I hope everyone had an amazing weekend. This is a look I wore to the Simply Stylist event at The Dana Hotel that Katie and I went to. I had so much fun and absolutely loved meeting fellow bloggers. 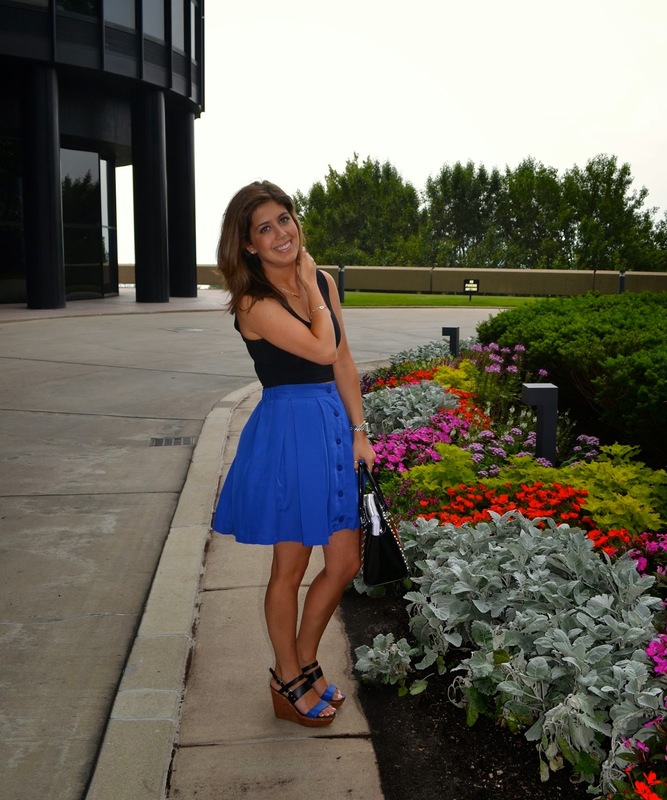 I decided to pair my royal blue skirt with my rad and refined crop top and black and blue dolce vita wedges. I really don't want summer to end, whose with me? !